Rachel Kibbe, the founder of HELPSY, believes that cutting-edge, fashion-forward clothes and products can have a social impact, 100% of the time. This Ohio native wants to be a part of a positive change in the way we wear our clothes. We don’t have to sacrifice being fashionable to be ethical…HELPSY lets us combine being both chic and ethical in a creative and design-forward way. I got the chance to catch up with Rachel to hear more about her brand, and the vision for her company. Check out the interview, and go fall in love with each piece in her shop! Christina Rosano: Tell me about you, who are you, what are your likes and dislikes...where do you want your brand to end up, and how do you want to positively impact/transform the fashion industry? 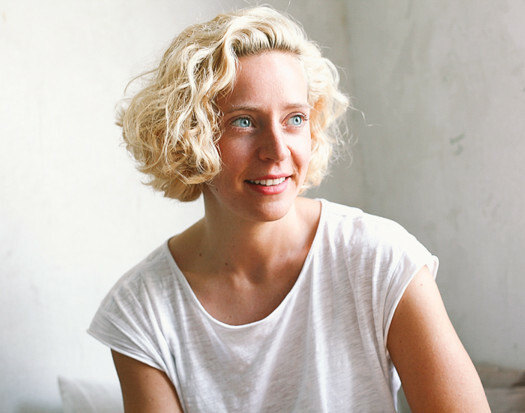 Rachel Kibbe: I’m a freelance fashion writer and founder of HELPSY, a new online boutique and editorial site for high-end ethical fashion. I was trained in Fashion Design at Parsons but my passion lies in writing about and curating ethical fashion design. I troll the internet to its outer limits, searching for the most beautiful fashion designs that are also ethically produced. My main goal is to encourage everyone, from consumers to the fashion industry itself, to be more thoughtful and transparent in their purchasing and production habits. I want people to spend their money more consciously, vote with their dollars, and know that beautiful design doesn’t have to come at high environmental and social costs. The reason HELPSY came about is because I’m brutally picky. I have been disappointed with the lack of exciting fashion platforms that are ethical and eco-conscious. Fashion is about fantasy and beauty, and in HELPSY’s case the content and platform are just as important as the products we sell. It’s an important cycle and all parts of it must co-exist for ethical fashion to really intercept the current fashion world. HELPSY is new, and have a lot of plans up our sleeves. I hope for HELPSY becomes the go-to website for the curation and sale of cool, high-end ethical fashion. We’re hoping to including menswear down the line as well. CS: HELPSY was founded on the belief that cutting edge fashion can have a positive social impact...all the time. Why is this mission so important to you, and how did you happen to fall into an eco-friendly brand? RK: The mission is important to me because I love fashion, and I love design, but the globe can no longer withstand our current consumption habits. Our need for constant consumption and better bigger and products, has put us in a deadly situation. It’s time to take a hard look at how and what we buy. There is beauty in this problem, in that the solution begs a fantastic design challenge—to create products that are just as beautiful as they are consciously made. HELPSY is not just an eco-friendly platform but, more broadly, a conscious consumption platform. We believe every dollar you spend can have a positive impact. That is why we donate to charity and sell products that profit philanthropy. CS: HELPSY products are sold to profit philanthropic causes...can you name some? What have you done recently? RK: We plan on donating 3% of our first profits to 350.org- a fantastically run non-profit that fights climate change. Our causes will most likely rotate. CS: How do you set yourself apart from other eco-friendly brands...what makes HELPSY..well, HELPSY? RK: A sense of fun and humor, and accessible voice. A decidedly un-green seeming, design focused aspirational aesthetic, while remaining true to transparency of production and ethical fashion values. CS: What kinds of materials do you make your products from? RK: At this point we curate products that fall under these 10 categories: non-disposable and well made, made of eco-conscious materials, up-cylced, recycled, fair-trade, vintage/secondhand, sold to profit philanthropic causes, locally produced (manufactured where it was conceived), cruelty free, handcrafted in a way that preserves artisanal traditions. CONTRIBUTOR. Christina Rosano is an economics major and professional writing minor at The College Of New Jersey. She loves traveling and will be studying economics and journalism in Italy January 2012. She was an Intern at Lucky Magazine where she worked closely with the team in the fashion closet. Christina is also a professionally trained piano teacher, and when she is not studying or working, she is teaching. Born and raised in New Jersey, she loves spending her summers on the beach and her winters by the fireplace with a good movie. Her favorite charity and movement is To Write Love On Her Arms. Like TWLOHA’s vision, Christina believes we were created to love and be loved. 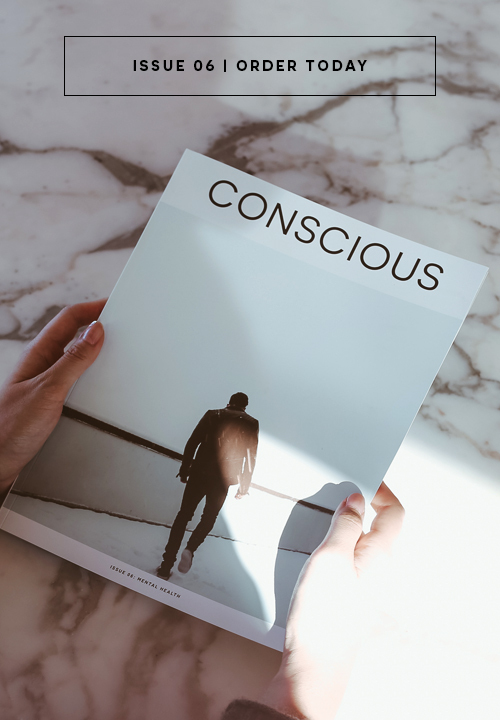 Conscious Magazine interviewed me…and here’s what I said.